A research project funded by forest industry partners and the Australian Government though Forest and Wood Products Australia. The aim of the project is to bring a combination of actors together to design and test new models of investment in planted forests. This approach presents an opportunity to learn from past experiences in order to design more sustainable and attractive models for planted forest investment that meet the requirements of industry, landowners, capital investors and other stakeholders. Research will be conducted in a 200 km radius of the Colac-Otway and Central Gippsland regions of Victoria.A land feasibility assessment will determine the available land base within a broad suite criteria that considers a range of investment pathways to facilitate integrated tree plantations. There is potentially significant capital available for investment in plantation assets in Australia. This is coupled with a considerable area of farmland in Australia suitable for integrating trees into agricultural systems with potential benefits for production. Further, there are policy drivers to invest in trees to mitigate climate change and support forest landscape restoration objectives. In order to realise this opportunity, the land sector requires of coalition of stakeholders working together to design a best fit solution for all stakeholders. Research Report: What do landholders think? The global demand for wood is increasing. On current trends, the area of tree plantations globally will need to double by 2050 to meet future demand. In Australia, an expanding population and increasing use of wood in construction for design as well as tree planting for environmental benefits is driving the increased demand for wood products. To address how new plantations might be supported, researchers at the University of Melbourne are exploring new approaches for integrating tree plantations in rural landscape. “There is a large area of farmland in Australia where different types of planted forest could be integrated with existing agricultural land uses,” says Project Leader Professor Rod Keenan, from the School of Ecosystem and Forest Sciences at the University of Melbourne. “Adding trees to rural landscape can benefit agricultural production, help to mitigate climate change and support the restoration of forest landscapes, while also providing a future supply of timber and additional income for farmers,” Professor Keenan says. The study will focus in two key forestry regions in Victoria: Colac-Otway and Gippsland. The researchers will assess the attitudes and experience of industry, investors and land owners and analyse past approaches to plantation investment partnerships in Australia and around the world. This knowledge will be used to build new business investment models that can meet the needs of different investment partners. “In the first instance, the project team would like to speak with landholders in the two target regions about their views on integrating tree plantations within rural landscapes” says Professor Keenan. Hancock Victoria Plantations is a project partner and Chief Operating Officer Cameron MacDonald explains that the lack of new plantation timber will limit expansion in forest processing, leading to an increasing reliance on imported timber products. “More investment in plantations can drive innovation in timber processing and increased economic value to regional communities,” Mr McDonald says. Midway Limited Chief Executive Officer Tony Price echoes these sentiments. “We are keen to work with a range of landowners to identify new and innovative opportunities that lead to more trees in the landscape and deliver win-win outcomes for both the forest and agricultural sectors while also providing environmental benefits such as carbon sequestration, biodiversity protection and improved water quality,” Mr Price says. Professor Keenan says that while farm forestry has been promoted for some time, the missing element has been financial capital. “We’re also collaborating with other research institutes, including CSIRO, who are conducting similar research that promotes the integration of trees in rural landscapes and welcome input from anyone with experience in this area”. If you would like to share your experience of farm forestry or plantations please contact Professor Rod Keenan at rkeenan@unimelb.edu.au or on (03) 9035 8227. The project is funded by the Commonwealth Government’s Voluntary Matching Program, co-funded by HVP Plantations, Midway Ltd, Australian Paper, AKD Softwoods and One Forty One Plantations Ltd with research conducted through the University of Melbourne. Forest and Wood Products Australia administer the project on behalf of the Department of Agriculture and Water. Identify the available land base within a broad set of flexible land feasibility criteria. This activity will generate regional datasets of suitable and potentially available land for plantations and environmental plantings based on an analysis of key requirements. It will build on existing studies to undertake more localised assessments that will include criteria such timber haul distance, species and product options, land productivity, slope, minimum lot size, access to infrastructure, local level aggregation and planning for revegetation by CMAs. The analysis will consider trade-offs, eg. between productivity and haul distance. The output will provide for analysis of potential land based on different criteria such as growth rates, conservation benefits or haul distance. To determine landowner attitudes to planted forest development in target regions a social survey will be undertaken, stratified by potentially suitable areas identified above and characterising different markets for tree growing investment. The survey will involve a postal questionnaire to all identified landowners in each region (possibly 500) and a detailed face-to-face semi-structured interview with 10% of these. This survey will assess landowner interest in and motivations towards tree growing and their requirements for potential partnership investment models. To design and test new models of investment in planted forests that involved greater integration of tree growing with agriculture and new types of partnerships to provide benefits to a wider range of stakeholders. This activity will assess financial sector and industry requirements for investment through a survey of a range of the different investors in tree growing, including timber processors, banks, superannuation companies and other types of financial institutions and brokers for environmental services. This survey will assess attitudes to investment in tree growing, requirements for investment and business models and risk management issues and options. The model design process will bring together industry partners, specialists in innovation and emerging entrepreneurs to focus on building shared value and providing for multiple objectives (financial, social, environmental) in plantation investment arrangements. It will also consider how different risks are shared between investment partners. Business model design will include approaches for impact assessment and monitoring and provide examples of different partnership models and allow landowners and investors to specify their interests and requirements. To learn from past policies and approaches to design more sustainable models for planted forest investment. Undertake a review of past experiences in Australia with a focus on tree growing partnerships such as joint ventures, leases, loans, market guarantees, tax incentives and other arrangements. This will incorporate both a literature review and a survey of relevant companies, government and past landowner participants. The review will be Australia-wide but with a particular focus on target regions. The Australian forest sector has the capacity to learn from the behaviours, incentives and performance of other forest growing and processing countries. Of particular importance to this project are approaches taken to farmer-industry investor relations, plantation support and trends in new forest products, processes and markets. 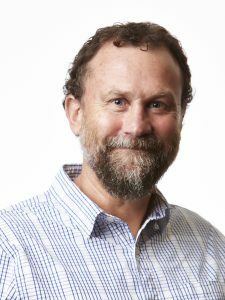 Professor Rod Keenan has over 30 years’ experience in forest research leadership, education, management and policy in a number of Australian states and with the Federal Government. He has facilitated interactions between researchers, catchment management organisations and local managers in regional think tanks and workshops. He was leader of the Hardwood Plantations Initiative in Queensland, assessment of plantation land suitability in NSW, a review of the impacts of forest plantations on water yield and quality and analysis of the interaction between carbon sequestration and water yield. As Director of the Victorian Centre for Climate Change Adaptation Research, he coordinated the development of multi-disciplinary teams that collaborated with state and local governments to support improved decision making capacity on climate change impacts and adaptation options. Dr Jodi York is a sociologist with a diverse interdisciplinary research history and a passion for driving and informing social change with measurable impact. She has published qualitative and quantitative research in sociology, economics, accounting and management, and has worked in business, academic, government and civil society settings in the US and across Australasia. 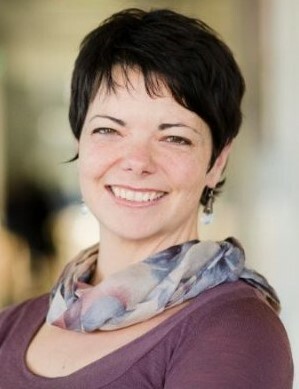 The focus of her PhD dissertation at University of California, Berkeley, was competing narratives of natural resource use between farmers, foresters, and conservationists.’ Her current focus is helping businesses, non-profits, investors and philanthropists to tackle entrenched social problems and deliver greater impact–how to fund it, how to create it, how to measure & report it, how to leverage networks to multiply it. 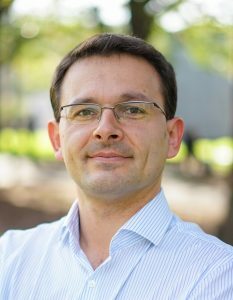 Dr Krzysztof is a strategist with a diverse interdisciplinary education and experience. 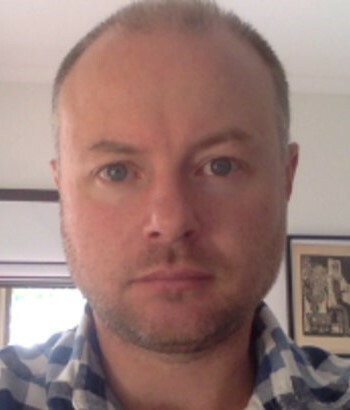 He has worked across different industries in both academic and business settings across Europe and Australasia. He is passionate about creating solutions to complex problems and about involving business in this process. His work focuses on findings the best ways to leverage the potential of investments to create positive social and environmental impact, and how this impact can best be measured and communicated. His expertise concentrates on designing and implementing sustainable business models that are able to create value for multiple stakeholders simultaneously. Dr Dean Severino is a Research Fellow in the School of Ecosystem and Forest Sciences. His PhD examined the effects of fertiliser addition on native forest soil water chemistry. 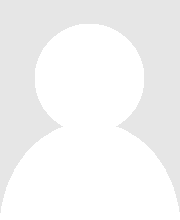 He has over 20 years’ experience working in native and plantation forest research, development and management. He has worked in a range of fields including soil and plant nutrition, genetics, empirical growth modelling and biomass estimation and more generally plantation silviculture for productivity improvement. He has worked with a range of conventional and niche eucalypt species, and has also worked in carbon sequestration and native forest policy. Dr Nerida Anderson is a social researcher with interests in the social and psychological aspects of human-environment interactions, in particular the human dimensions of natural resource management and forest management. Her research work has application for understanding social and psychological responses to rural landscape change. In her PhD she investigated factors influencing community perceptions and evaluations of plantation forestry in Tasmania, looking in particular at the way evaluations of plantation forestry were related to different perceptions of rural landscapes and the place meanings attributed to those landscapes. Herresearch also includes: integrating ecological modelling with social and environmental psychology to incorporate social values for forests within indicator frameworks for sustainable forest management; development and testing of a psychometric scale to measure social values for public land across different contexts; and research examining social and psychological factors associated with urban water use. Braden Jenkin brings over 30 years experience in domestic and international forestry: from the smallest scale producers through to large-scale global corporate operations. Projects and works have been undertaken in South Africa, Europe, the UK, India, PNG and New Zealand and have included significant consultation and interactions with markets, processors, trees growers and agriculturalist. This provides a foundation to allow the capture of data and information from a broad range of stakeholders and sources, combined with the ability to communicate at a wide range of culturally appropriate levels. To ensure the utility of any outputs, his experience allows the application of cultural, biological, policy and commercial frameworks to extrapolate such information into an Australian context (for testing of relevance and fit). Significant analytical works have been undertaken of supply chains and financial models providing a further foundation to support the understanding of the information collected. He hold a BSc (Forestry), a Grad. Dip of Managements and an MBA. He is a Gottstein Fellow and a Member of the Institute of Foresters of Australia and the Australian Forest Growers. Dr Lyndall Bull has extensive global experience in the forest sector, including in strategic management, innovation and product development, market analysis and research management. Lyndall has served on a range of Boards including the CRC for Forestry and as Chair of the South Australian Forest Industry Development Board. 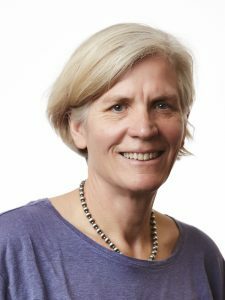 She currently serves on the Boards of Sustainable Timber Tasmania, Forestry Corporation of New South Wales and is the Chair of the Reference Panel for the Western Australian Timber Industry Development Plan. Lyndall is the founder and Principal of Lynea Advisory where she provides advice to a range of clients in the primary industry sector regarding new product development, innovation, research management and sustainability. 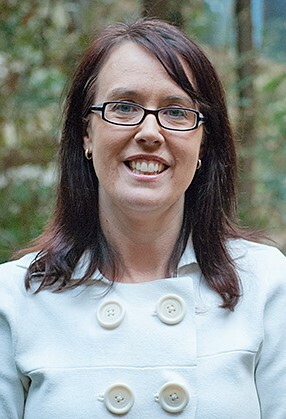 Lyndall has a PhD (focusing on forest product development), a Bachelor of Forest Science (Hons) and a Bachelor of Science from the University of Melbourne.